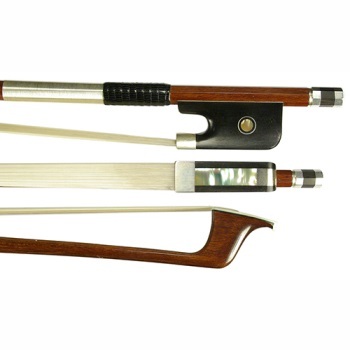 This fine cello bow has great flexibility. The stick is made from pernambuco with silver winding and a lizard grip. The frog is silver mounted ebony with Parisian eye and an abalone slide.